No code needed. 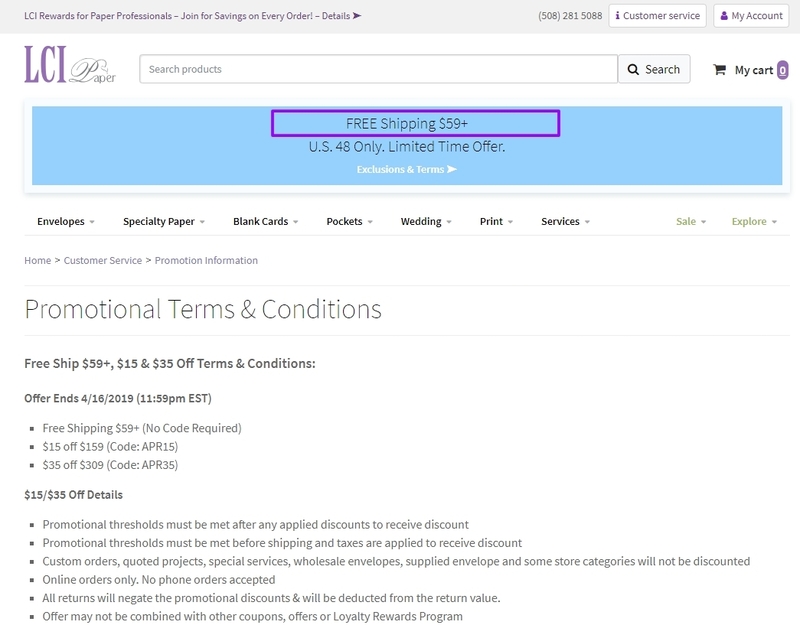 Click the button to redeem your discount at lcipaper.com. Ongoing deal, never expires. Last validated 1d ago . Used 1 time. Andrimar Rios Updated the deal information. Yenyen As of 04/02/18, I tested this deal and verified that it works as described. Exclusions apply.